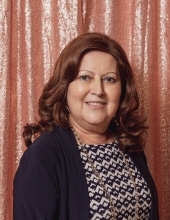 Maria Alice Mortagua, 60, passed away peacefully at her home on Saturday, March 16, 2019 with her loving family by her side. She was born in Murtosa, Portugal and came to the US in1978, and resided in the Ironbound Section of Newark. Maria Alice was a housewife and loved raising her family and caring for her home. Beloved wife of Vasco Fernandes Mortagua; devoted and loving mother of Danny and his wife Diana, and Jennifer Mortagua; loving grandmother of Dilanny Paige Mortagua; sister of Francisco Jose De Oliveira and his wife Creuza, Avelino Jose De Oliveira and his wife Ana Maria, Antonio Jose Oliveira and his wife Maria De Fatima, Maria Das Flores Vigario and her husband Domingos Jose, Rosa Das Flores Tavares and her husband Carlos, Jose Maria De Oliveira and his wife Nidia, and Armando Jose De Oliveira and his wife Julia; also urvived by many nieces and nephews. The Funeral for Maria Alice will be on Tuesday, March 19, 2019 at 8:30 am at the Buyus Funeral Home 426 Lafayette St., at Wilson Ave., Newark, NJ 07105. Thence to Church of the Epiphany, 207 Adams St., Newark, where at 9:30 am the Funeral Mass will be offered. Entombment Holy Cross Chapel Mausoleum North Arlington, NJ. Relatives and friends are welcome to attend. Visitation for Maria Alice will be held on Monday, March 18th, from 5 - 8 pm. In lieu of flowers, donations to the V Foundation (Jimmy V. Cancer Foundation) www.jimmyv.org would be graciously appreciated. To send flowers or a remembrance gift to the family of Maria Alice Mortagua, please visit our Tribute Store. "Email Address" would like to share the life celebration of Maria Alice Mortagua. Click on the "link" to go to share a favorite memory or leave a condolence message for the family.